Home of the Melvina Cow Family. 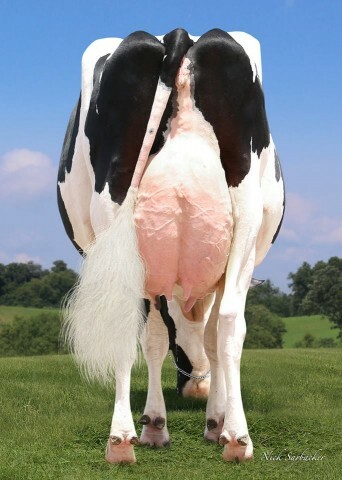 And the heart of Our-Favorite UNLIMITED EX-94 95-MS. The dam of Undenied, Mafia, On Point, and Union! Our-Favorite Endless followed the footsteps of her dam and recently received the score of EX-94! Endless is the full sister to the proven sire UNION @ Select Sires and maternal sister to Undenied, Mafia, Upgrade and many more! McGucci direct daughter to UNLIMITED! Selling October 29th in the Halloween Harvest Sale as Lot 1 is Our-Favorite Zealous. A VG-86 VG-MS direct daughter to Our-Favorite Unlimited EX-94 96-MS. Be the last to bid and buy into this incredible cow family! Unlimited Type Sale has started! Looking for your next show heifer or HIGH-RANKING type heifer? The Unlimited Type Sale is now underway. Make sure to pick your favorite from the heart of the Our-Favorite Unlimited EX-94 cow family before October 9th. Or a favorite from the selection of HIGH TYPE calves from Lottos Atwood Lizette EX-94. Unlimited Type Sale quickly approaching! The Unlimited Type Sale will feature 14 high type females plus exportable embryo lots at CattleClub.com. Brought to you from the tremendous Our-Favorite UNLIMITED EX-94 cow family! Selling is the No. 2 PTAT Heifer scoring a +4.64PTA TYPE. She is a Delight out of a VG-87 Hang-Time direct daughter to Unlimited. Also selling is a +3.76PTAT Solomon that is READY TO WORK. Her dam is a maternal sister to the popular mating sire UNDENIED! There are many other offerings sired by King Doc, Drive, Crush and more! Featured in the Unlimited Type Sale are type calves from Lottos Atwood Lizette EX-94.. Selling is a +4.47PTA TYPE King Doc direct daughter to Lizette. And a +4.14PTA TYPE Delight daughter (No Mccutchen and No Doorman in pedigree). Beautiful calves! Sale starts this weekend... Pick your favorite TODAY! Selling next week in the Unlimited Type Sale will be the NO. 2 PTAT Heifer... Scoring an impressive +4.64PTAT and +3.77UDC. She is a Delight x VG-87-2YR Hang-Time x Our-Favorite UNLIMITED EX-94! This is your chance to own a high PTAT heifer backed by tremendous genetics! Crush daughter back to Our-Favorite UNLIMITED sells! Man-O-Man from the Debutante Raes! GTPI+2260 Man-O-Man from Dish Rae *RC, the Goldwyn daughter from Debutante Rae. She sells on the Regancrest Summer Select Sale with $12,000 Alta bull Contract and embryo contracts. *RC Man-O-Man from Gold Dish Rae sells! Selling tomorrow, July 21 on the Wisconsin Central Event Sale is a *RC Man-O-Man GTPI+2066 from Dish Rae, the *RC *TV Goldwyn daughter of Debutante Rae! A fantastic Roxy offering that sells with contracts. First Choice Female from Scientific Gold Dish Rae-ET VG-88 DOM topped the 67th Annual Dodgeramma Sale was held on Saturday, April 9th at Crescentmead Holsteins in Ixonia, WI. 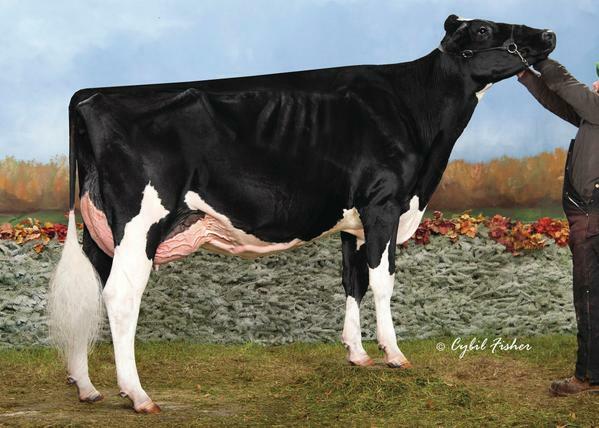 Dish Rae is the *RC *TV GTPI+2024 Goldwyn daughter of Debutante Rae EX-92. The gavel hit at $13,000 with Dr. David Atwell as the successful buyer. 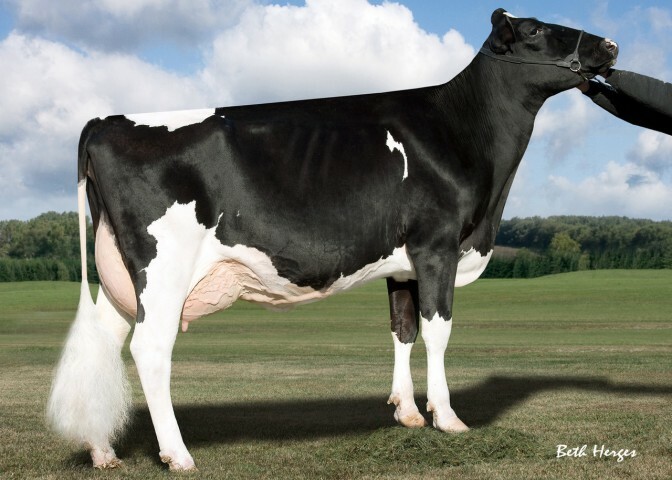 Selling on Saturday, April 9 from Our-Favorite Holsteins is a First Choice Shamrock or MAS from Scientific Gold Dish Rae-ET VG-88 DOM, the *RC *TV Goldwyn daughter of Debutante Rae. Selling on Saturday, March 12 in Madison, Wisconsin is a Sept. 2010 *RC Picolo daughter from Gold Dish Rae, the *RC *TV Goldwyn daughter of Debutante Rae! The Holiday ET Extravaganza Sale was held on Wednesday, Jan. 26, 2011 and reported an average of $13,353 on 17 lots sold. The second high selling lot at $22,000 was Our-Favorite Okahli-ET consigned by Our-Favorite Holsteins, Fall Creek, Wis. and was the successful purchase of Gary and Mary Housner, Elroy, Wis. Okahli is the #10 Super daughter at GTPI +2272 and out of Shottle Otomique VG-87. 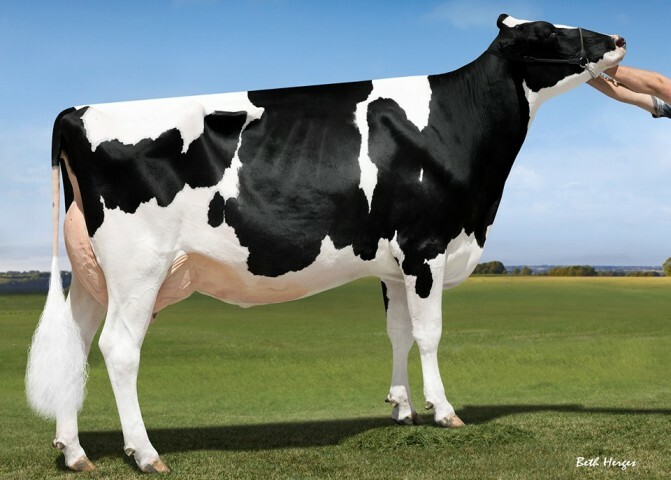 New Member, Our-Favorite Holsteins, is selling the #10 Super daughter at the Holiday ET Sale on Wednesday, Jan. 26, 2011.